The vendors will operate from 11:00 am – 8:00 pm. The event is held rain or shine! All applications must be submitted by July 29, 2016. The vendor fee for a 10’x10’ space is $35. Non-profit organizations are NOT required to pay the $35 vendor fee. Non-profits must attach proof of non-profit status to your application. All applicants must include a check or money order for payment of the total vendor fee. Please make checks or money order payable to the International SummerFest/BCCF. No refunds will be honored. Any food vendor must comply with the Calhoun County Health Department regulations and obtain the appropriate permits and/or licenses. Vendors are not allowed to “rove” with their merchandise at any time. The Festival Committee reserves the right to restrict any activities that interfere with public access and/or festival programming. The Festival does not provide for “exclusive” rights of products. Vendors may set-up at any time before 11:00 a.m., on August 13th. However, set-up must be completed by 11:00 a.m. Vendors park in the Parking Lot on the north side of Van Buren Street entering off of Champion Street or Van Buren Street. You will be required to bring your items across the street into McCamly Park. A Festival Official and volunteers will be on-site to assist and direct you to your vendor space. All equipment used in operating a booth during the event will be the responsibility of the vendor, including canopies, tables, chairs, and any other booth furnishings. Some electricity is located in the Park, but cannot be guaranteed. Additionally, because of sprinkler systems within the Park all tents must be secured by sandbags or other weights that will not be staked in the ground. All vendor locations will be assigned at the discretion of the Festival Official. Booth sizes are 10’ x 10’. 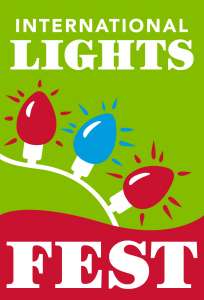 Vendors may close their booths beginning at 7:00 p.m. All booths should be closed and items removed by 9:00 p.m. Please make sure all trash and booth items are removed! The appearance of each vendor booth is critical to the overall atmosphere of the Festival and the audience’s perception of the event. We highly encourage creative booth designs. You are responsible for any signage, banners, etc. to identify your booth. A selection committee will review each vendor application based on the following criteria: 1) quality and type of product sold/displayed, 2) ability to participate and 3) space availability at the event and operational requirements. Past participation does not guarantee acceptance. 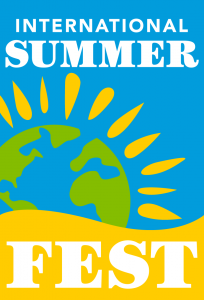 The International SummerFest reserves the right to refuse any application or withdraw acceptance, in which case the vendor fee will be returned in full. Space is limited and restrictions will be placed on the types of merchandise permitted. Vendor information coming! Please check back soon.